Moving to Jersey City? You probably need professional help and helpful moving guide. Moving can be very stressful but with best moving services in Bergen County NJ you can ensure a smooth and positive transition. Jersey City has become one of the hottest places to move to. Many people, from young professionals to families living in this area. Jersey City can be your dream place. So, don’t hesitate and read why you should relocate here and what is the easiest way to do it. Learn what to do before, during and after moving to Jersey City. 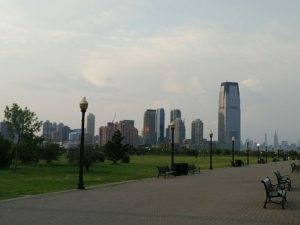 When you finally decide to move to Jersey City, you need to know how to do it much easier it is possible and where to settle down. Start planning on time and hire All In One Moving to help you pack, load and transport your stuff to the new address. 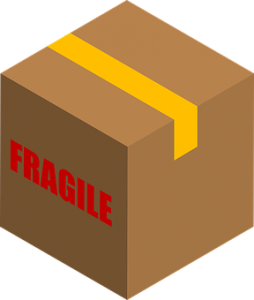 Moving your valuable, fragile and big items isn’t easy, so don’t try to do it alone. So, before you start packing consider hiring our reliable moving company to help you with moving process. Make sure that you booked everything in advance. You should find and hire rental trucks and movers. Also, you need to buy packing supplies and moving boxes for packing process. Don’t forget to contact your cable or internet provider so you can easily get service set up in your next place. It also means you should pay utilities and contact your bank and work to tell them about your new address. So, be smart and plan ahead you’re moving to Jersey City. Next step in moving process is to pack and organize your moving boxes. Be sure to pack every box by room. That means you also need to label every box by the name of room and list what’s in the box. It is better to label all the sides of the box, so you don’t need to figure out what is in the box. Before start packing, you should buy moving packing supplies in Bergen County NJ that will help you to pack and protect your stuff during the move. 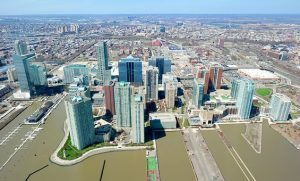 It is possible to save money and time during moving to Jersey City. You don’t need to buy some packing supplies if you can use something else. For example, you can use t-shirts, sweatshirts and other clothing items to protect fragile items. Make sure to protect your furniture if you want to avoid damages during the move. You need to cover furniture and mattress. Don’t save money on packing supplies for protecting furniture, it will cost you lot more to buy new pieces of furniture. To have a successful move to Jersey City it is important to have a moving company that can give you answers to all your requirements. Reliable movers can provide you the best moving services that fit your needs. You will get the highest quality of customer service, moving experts, full packing service, packing materials, loading and unloading and extra services like moving storage in Bergen County NJ. If you need this type of extra service, you can ask movers to put your things in storage as long as you want. This service you can use if you don’t have enough space in your new home or you want to clear some space from unnecessary items. Remember with professional help your stuff will be packed carefully and will be transported to your new place. Also, trusty movers will treat you in a respectful manner and they will help you to unpack and put your belongings in your new home. You can ask movers to put your things in storage as long as you want. Before moving to Jersey City you need to find a neighborhood that fit all your needs. In Jersey City, there are few neighborhoods that we could recommend. So, take a time and do your research to be sure that you are found the best place for you and your family. If you cannot decide before the move, then you can rent a room and put your stuff in storage until you find your dream place. We can recommend some neighborhoods in Jersey City, so start with your research. In Downtown, you can find your next home if you like living in the mixed community where you can have great schools, transportation facilities, and marina. Also, streets of Downtown are full of shops, restaurants, and everything else you probably need. Bergen-Lafayette has a big personality because of its mixture of architectural styles. Here you can find 1,200 luxury residences. So, if your budget allows this might be your next place of living. This neighborhood is only 1 mile across the river to Manhattan. This small neighborhood has numerous shops and waterfront restaurants with outdoor seating. Other neighborhoods worth checking out include Hamilton Park, Van Vorst Park, Newport, and the Liberty State Park area. You do not need a car to live in Jersey City. Jersey City has the great public transportation system. Almost every resident in Jersey City doesn’t have a car, all of them are using a 24-hour rapid transit system that can get them everywhere they want to go. Explore Jersey City after your relocation. There are so many places to visit after you relocate to Jersey City. Don’t be afraid to walk around and meet the city. After moving to Jersey City you probably will be hungry. So, try the tasty food on a budget in places like ME Casa, Morgan Fish Market and Restaurant, Sapthagiri Taste of India, and Thirty Acres. In case you want to eat sweets, try them in Cookies N’ Crepes, Satis Bistro, and Sophie Sophia. But, if you want to eat healthily, this type of food you can find in Organic Basic Food, Subia’s Organic Cafe and Market, Nature’s House, and Hudson Greene Market. Of course, if you want to find and visit other places in Jersey City, it is the best to check them alone. 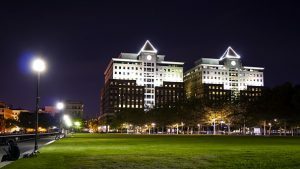 So, don’t be afraid and start exploring Jersey City after your relocation.